The US intelligence community testified on Capitol Hill about supposed Russian interference in the 2016 election. In doing so, they provided more free advertising for RT, yet also seemed confused about the network, its reach and its coverage. Director of National Intelligence (DNI) James Clapper, CIA Director John Brennan, NSA Director Admiral Michael Rogers and FBI Director James Comey testified in front of the Senate Intelligence Committee Tuesday afternoon about a recently declassified report on accusations that Russia influenced the presidential election. It was clear during the hearing that neither the intelligence chiefs nor the senators had done their homework about the channel. When asked if it was fair to compare RT to CNN, MSNBC or Fox News ‒ as Lieutenant General Michael Flynn, whom President-elect Donald Trump has tapped to be his national security advisor and who has been a guest on RT, has argued ‒ Clapper told senators that RT directly gets its editorial guidance from the Russian government. From there, Clapper’s intel about RT seemed to get a bit… fuzzy. He noted that the channel is “very prevalent in Europe,” but not as much in the US. “I think there’s an RT channel here,” Clapper told Senator Roy Blunt (R-Missouri) that’s accessible to “some number” of people here. Yet Senator Angus King (I-Maine) gave an opposing assessment later in the hearing. King’s numbers aren’t accurate either, though. The RT network currently has over 4 billion views, and its flagship YouTube channel has just passed the 2 million subscriber mark. The 450 million figure was overinflated by any account, as the most-subscribed channel in history ‒ PewDiePie ‒ ‘only’ has 52.2 million subscribers, according to data compiled by Socialblade. 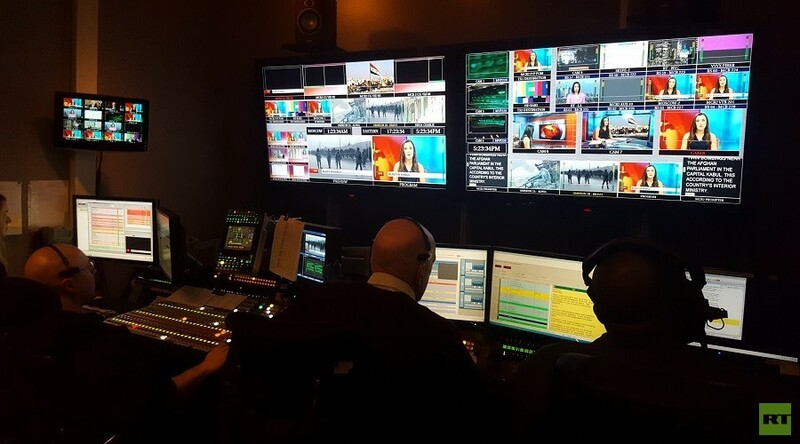 As a broadcaster, RT is available to 700 million people in more than 100 countries spanning five continents. In the US, it is offered by cable companies in several metropolitan areas, including New York and New Jersey outside of New York City; California’s Los Angeles, San Diego and San Francisco areas; Chicago, Illinois; Philadelphia, Pennsylvania; Washington, DC and its surrounds; and Toledo, Ohio. The channel is also available on Dish Network, a satellite provider. Twitter users also called out Clapper for not knowing the details about RT's reach, despite the network’s heavy presence in the Office of the Director of National Intelligence report released on Friday.